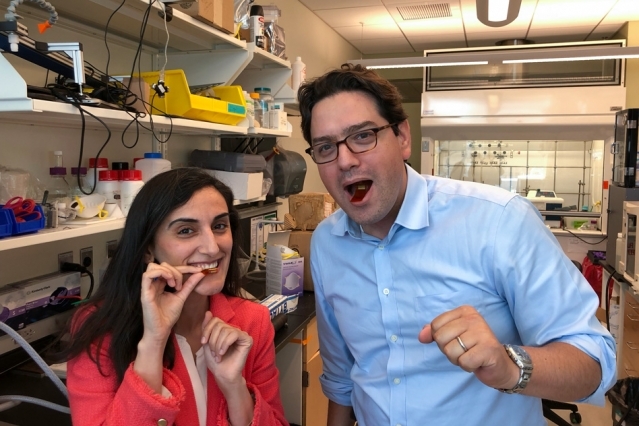 “For the first time, we showed that a flexible, piezoelectric device can stay in the stomach up to two days without any electrical or mechanical degradation,” (Canan) Dagdeviren says. Doctors could also use it to help measure the food intake of patients being treated for obesity. “Having a window into what an individual is actually ingesting at home is helpful, because sometimes it’s difficult for patients to really benchmark themselves and know how much is being consumed,” (Giovanni) Traverso says.